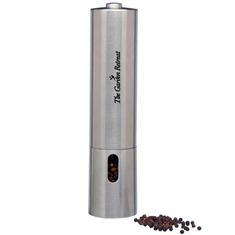 Our automatic Pepper Grinder is sure to be a successful promotion. Made of durable Stainless Steel it is designed to last. It includes 4 AA batteries so it is ready to use when received. A hot gift item this year! Imprint Area: 1-1/2" x 3"